Surah al-Baqarah - The Cow: Summary of Chapter 2 of the Holy Quran - Part 2 ~ Islam My Ultimate Decision . As mentioned in the Part - 1 of the Surah al Baqarah, this surah is the longest surah of the Quran revealed in Medina. Because of its length it is not possible to cover its details and the Divine messages and commandments contained therein in one post. Therefore we have segmented it and will cover the surah in a number of posts for better and easy understanding. 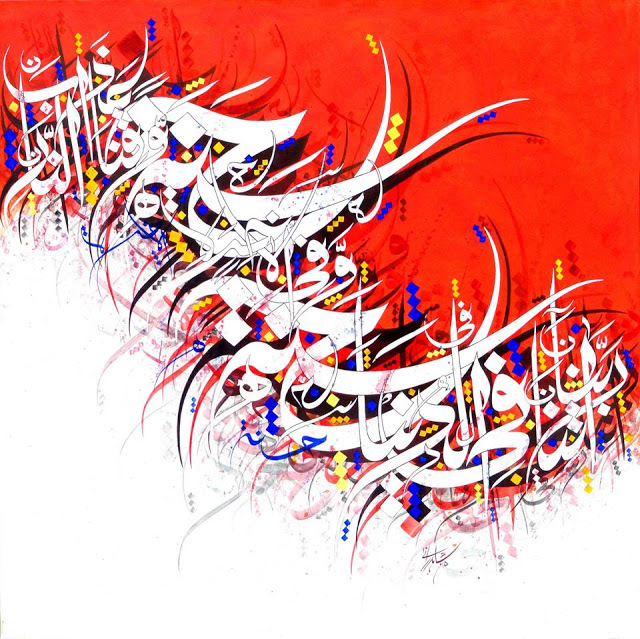 A subject-wise analysis of Surah Baqarah, the longest of the Quranic surahs, reveals that the surah can be distinctly divided into an introduction, a main body comprising four sections, and a conclusion. A study of this analysis shall not only be helpful in understanding the relationship of its various sections with its central theme, but also give the reader a general idea about the surah itself. We take up these sections in order. This section extends over the first thirty-nine verses of the surah. It begins with the mention of those among its addressees who shall accept faith and those who would reject it. A reference is then made to the mental perplexity and confusion of the latter after the Quran had begun to be revealed. In this regard, the Bani Ismael have been warned that this Book of Allah has revealed the truth in its ultimate form upon them. It would be extremely unfortunate for them if they are still led astray by the mischievous machinations of the Jews and thus deprive themselves of this great blessing---the Quran. The introduction ends on the tale of Satan's malicious rivalry and the khilaafat of man. This tale is actually a mirror which reflects the whole scene which was created when the Prophet (pbuh) had started disseminating the Message of Allah, and it clearly brings out the supporters and the adversaries of the new religion. The criticism of the angels on the khilaafat of man and their subsequent satisfaction over it is actually the example of those people who initially kept away from Islam because they had some doubts about it, but, later on, as soon as the truth of this religion became evident to them, they became its supporters and allies. This was because they were true seekers of the truth and were not jealous and obstinate like others who had rejected Islam merely on these bases. On the contrary, the opposition offered by Satan is actually the example of those who were opposing the Prophet (pbuh) due to sheer pride and vanity about their creed and status. The Jews and the leaders of the Quraish are perfect representatives of this category. Such hostile factions do not end their rivalry once they are aware of the truth, instead they get more hostile. Consequently, the more they were convinced of the truth of the Prophet's mission, the more they increased their aggression. In the light of this tale, the Jews and their supporters have been explained that their malice and jealousy for the Prophet (pbuh) and his mission is exactly the same as was shown by Satan towards the khilaafat of man. It has been emphatically stated, simultaneously, that just as the khilaafat of man was constituted against the wishes of Satan, the Prophet hood of Mohammad (pbuh) shall be established against their wishes as well. This section ranges from verse 40 to verse 121 and can be further divided into three subsections. In the first of these which ends with verse 46, the Bani Israel have been specifically addressed and urged to profess faith in the Prophet hood of Mohammad (pbuh) to which their own scriptures so clearly testify. They have then been reminded of the covenant they had pledged in supporting and helping this mission and in fact outdoing each other in this cause, as has been mentioned in the Torah. They have been cautioned that they must not forget this promise merely on the bases of malice and envy and have been further advised to refrain from the mean tactics they had adopted of mingling the true with the false. They have been urged to persevere in the cause of truth and pray regularly as both these would bring them Allah's help. In the next subsection (verses 47-63), it has been explained, first of all, that a person shall be rewarded in the Hereafter on account of his faith and deeds and not on the basis of his association with a particular family or clan. It must be borne in mind that the Jews had fallen prey to the misconception that the position of power and respect they possess is due to the fact they they were the progeny of the prophets Abraham and Jacob. They, therefore, thought that this association would grant them salvation as well in the Hereafter. In fact, this arrogance proved the biggest obstacle for them in their acceptance of the Prophet hood of Mohammad (pbuh). It has consequently been made clear to them in the subsequent verses that whatever position and strength they possess and reckon to possess later are and would be a sheer blessing from the Almighty. They must not forget that if He has showered His favours and blessings upon them, He has also punished them whenever they have been ungrateful to Him. Therefore, they must turn to Him instead of depending on the false bases of race and creed; they must face the reality and give up their superstitious beliefs. The last subsection (verses 64-121) is actually a history of the breach of promises and the traitor-ship of the Jews as to how they disobeyed the commandments of Allah and how this criminal mentality had been nurtured in them since the very beginning. A mention has also been made of their superstitions and of other activities which were instrumental in debasing the Shariah and the Book of Allah in their eyes. All these details have been stated to make it clear upon the Jews that though they claim to be the recipients of a Divine Book, yet they have shown total indifference to it, and have broken all their promises with Allah. Therefore, it is necessary that the Almighty should depose them from their position of leadership, and grant this position of trust to those who are worthy of it. In this section, which starts at verse 122 and ends with verse 162, the part of Abraham's life which relates to the building of the Baitullaah is covered. It must be borne in mind that when Abraham had started to build the Baitullaah, he had prayed to the Almighty to raise a Muslim Ummah among his progeny and a Prophet among them as well. Initially, it has been made clear in this section that the religion of Abraham and his descendants was Islam and not Judaism or Christianity. The Almighty created an Ummat-i-wast for the propagation of Islam. In accordance with Abraham's prayer, this Ummah's qiblah was the Baitullaah and not the Bait-ul-Muqaddas. The Bait-ul-Muqaddas was only a temporary qiblah and therefore it was soon changed. A subtle indication is then made that since at that time the Baitullaah was under the control of the isolators of Mecca, it would have to be liberated and taken under control. This would require a lot of sacrifice---both of life and wealth---and success in this undertaking would depend on the Almighty's help. The only sources through which this help can be sought are praying to Him and showing perseverance in this cause. Since the real purpose of narrating this tale is to highlight the fact that Abraham's prayer was answered in the Prophet hood of Mohammad (pbuh) and that he was the true inheritor of Abraham's mission, therefore, all distortions and tampering which the Jews were guilty of committing with their own scriptures in this regard have been brought to light. The Jews, it must be kept in mind, wanted to hide every evidence which related to Abraham and the Baitullaah and the alter of Marwah. (9) Marriage ,divorce, eela, khula`, radaa`at, naan-u-nafqah of the deceased among the spouses and other issues of marital life (222-42). In this section (243-83), the Muslims have been induced to wage jihad against the unbelievers to liberate the Baitullaah from their hold. They have also been motivated to spend in the way Allah for this cause. A reference is then made to the battle fought by Bani Israel, which has many similarities with the battle of Badr, to set free their qiblah from the Palestinians. Then after a parenthetical sentence infaaq is further stressed. In this regard, various examples have been cited to elucidate what type of people does the Almighty guide from the gloom of darkness to the radiance of light and who among the people are left by Him to rove in the darkness. A mention is next made of the blessings of infaaq, its conditions and characteristics and of some important sections of the society which should be its recipients. Simultaneously, a prohibition of riba, the very antithesis of infaaq, is made. The section ends with a directive which pertains to precautionary measures that should be undertaken in lending and borrowing. This section (284-86) is the conclusion of the surah. It has been first of all explained that everything in this Universe is under the control of the Almighty; He shall take account of everything whether hidden or visible and punish and bless according to His law whomsoever He wills. It has subsequently been elaborated that whether anyone else believes or not, the Prophet (pbuh) and his followers firmly believe that this Book has been revealed by the Almighty. The surah ends with a prayer in which every word speaks of the tremendous responsibilities of this Book which the Jews and the Christians were unable to fulfill and which now have been passed on to the followers of this new religion. 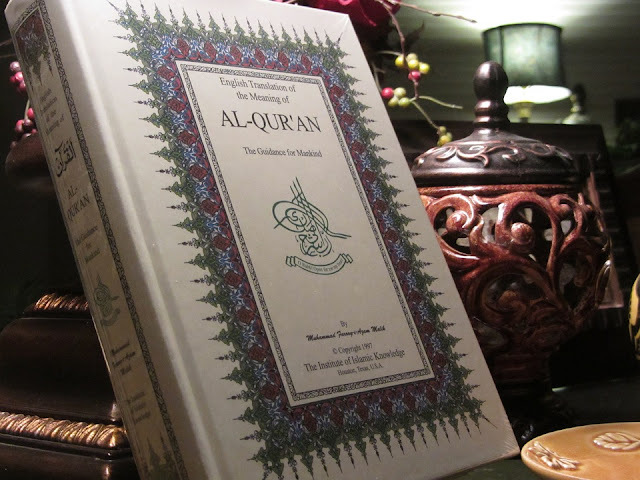 You may refer to our post "114 Chapters (Sūrahs) of the Holy Qur'an" for translation, meaning and summary of other chapters (Though not complete but building up from 30th Part backwards for chapters in 30th Part are shorter and easier to understand).